On Sylvan Esso's deliciously catchy, sublime second album, 2017's What Now, the duo of Amelia Meath and Nick Sanborn again conjure breezy electropop magic, but cast with a more apprehensive edge via songs like the anxiously percolating "Radio" and the arrhythmic "Dress." The duo's seesaw between gentle observation and mordant wit is one of their great strengths and as they embark on another leg of touring in 2018 (including a stop at New York's Governors Ball Music Festival in early June), that humor is also evident in their onstage chemistry. 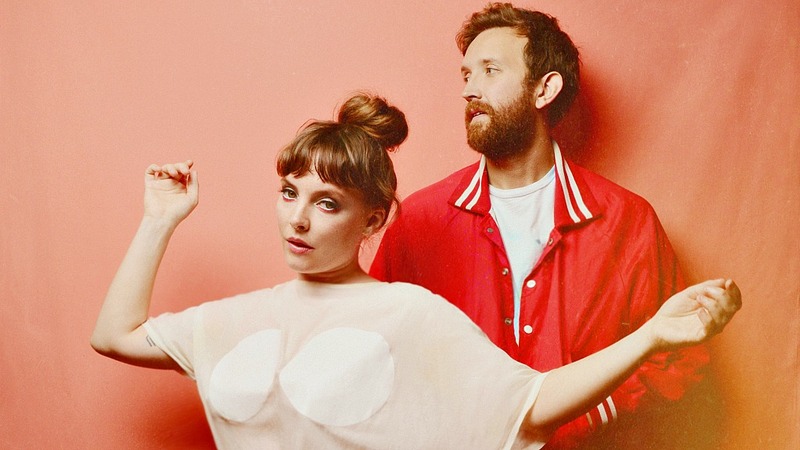 What Sylvan Esso fans might not realize is that deep in heart of "Radio" lurks a clue to one of Meath's favorite David Bowie songs via the line, "The old 'Blue Jean,' yeah," written in the aftermath of Bowie's passing. Since Meath had already confessed to one of her most beloved Bowie tracks, FUV wondered if she had four others she might want to write about for "Five Essential David Bowie Songs" for FUV Essentials. She most certainly did! A beautifully structured song. I love how economical he is with his words in this one. The line "While color lights up your face" is just so simple and real. That is the feeling you get when you are in a club having a moment with someone. The simple romance just keeps echoing on and on. Also, "serious moonlight" is such a magical thing to say. I feel like I know exactly what he means, but do I? And those back-ups! I love how roomy and wild the drums are in here, and the hiss sound! What wild horns too. Then, when the vocals arrive and it feels like he is whispering in your ear? Swoon town. It’s so encouraging as a songwriter to hear about someone else's process in a song. Particularly when it is about inaction or frustration—trying to figure out how to write a gosh darn song and not being able to, or only being able to write about how you are having a hard time. He wrote this one for Mott the Hoople so the band wouldn't break up, but we've got to talk about it! It’s wonderful to hear a song about young people feeling lost and lonely and finding community in that. Amazing clapping. The part where he asks if there is concrete all around or if it is in his head always makes me weep. "Wham bam thank you ma'am." I mean, c'mon. This is my favorite Bowie song. It is a strange one to pick out of all of them since it is so simple and not very revolutionary at all, considering the breadth and depth of his sound and vision—but I love it. It has one of my favorite back-up vocal sections of all the time and I am a sucker for a song about being excited about somebody. Read all of FUV's Five Essential Songs and Albums.